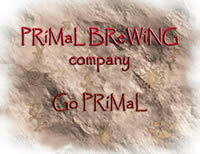 Original T-Shirts and Beer Gear for the Home Brewer and the Beer Enthusiast. More than 10 years ago in the sleepy little college town of Blacksburg, Virginia (Home of Virginia Tech - Go Hokies!) my lovely wife bought me a Mr. Beer brewing setup for Christmas. I never actually got to taste any of the beer from that original kit, because it leaked like a sieve. I tried to take it back to the store from whence it came, but serendipitously they were sold out. Never having been accused of an excess of patience, and absolutely dying to try out making my own beer, I called around town looking for another home brewing kit. God smiled on me, and I discovered the Vintage Cellar, a first class store with a wide selection of beers from around the country and from the just exploding craft brew market. And they had a great homebrew section complete with tons of gadgets, gizmo’s, and kits! But best of all they had a staff who was patient, knowledgeable and passionate about making beer! I was lucky enough to come into the store when Kenny was working, and he helped me get all the basic equipment I would need to get started – all for about $10 more than the original Mr. Beer I had returned! A Home Brewer was born! Ok, so what about this Beer Enthusiast thing? Well, that also started at the Vintage Cellar. Remember all those international and craft beers I told you about? Well, since I started brewing my own beer I thought it would be a good idea to try some of the styles I was attempting to make. Pretty soon I had developed a deep respect for beer, and all of its many styles and varieties. These days I have become a card carrying “Beer Snob”. And I am darn proud of it! So what does this have to do with the Shirts and Beer Gear? Nothing other than I respect and appreciate beer and the people who craft it, and want everyone to know about it. If it were a sports team (Go Hokies!) I would buy a team t-shirt and wear it proudly. But there aren’t many T-Shirts out there for homebrewers to choose from. And most of the Beer shirts don’t show the kind of respect I think our favorite beverage deserves. I wanted some fun designs that reflect Beer the way I know and love it. So I decided to do something about it.